Summer 7s Registration Coming Soon! $10 discount for siblings after 1st player pays in full. CIPP Deposit must be paid in full in order to participate in all practices and games. Click HERE to pay the team dues balance with a debit card via Cash App. Please list your player's name and team level in the note field. Team dues balance can also be paid on 1st day of official practice in November. We accept Cash, Check, and/or Credit Cards. 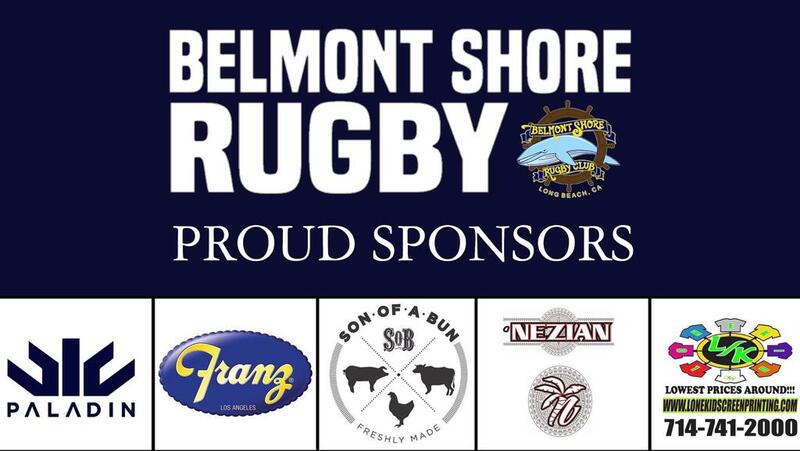 No refunds, No Exception – There will be no refunds if a player elects to drop for any reason, all fees paid will be considered donations to the Belmont Shore Youth Rugby Football Club (BSYRFC) Program. The Sun Newspaper's Ed Robinson wrote a great article of Belmont Shore Rugby Club and the family culture. It touches on some of the local people and families that work behind the scenes to make this club successful. People like Stu & Paula Ledsam, Adam Charlesworth, and the Dowgiewicz family. 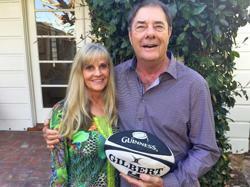 Seal Beach residents Stu and Paula Ledsam fondly refer to Belmont Shore Rugby Club as “family.” As president of the Rugby Club, Stu is the “face of the operation” and Paula is his biggest supporter. And it is indeed a proud, successful family. Over the last couple of weeks, the senior men’s team beat San Francisco/Golden Gate 51-0 and San Diego/OMBAC 55-15. 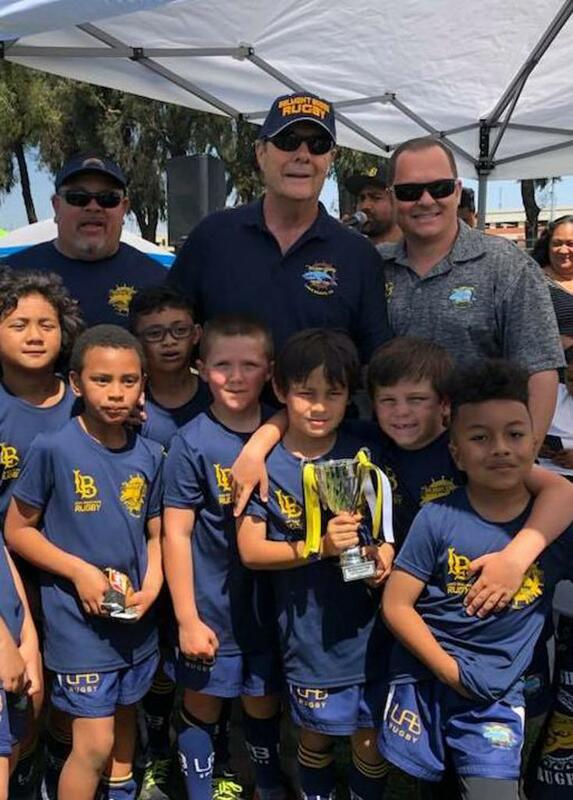 Also the club hosted over 700 young players (5-16 years) for a Juniors’ Tournament at Long Beach City College where most of our local teams proved invincible. As emphasized in previous columns, however, values of civility, respect and discipline are equally paramount in the youth program and are a constant focus for coaches, players and parents. All junior players are given tee shirts displaying the New Zealand/Maori mantra “Whakaraupapa” (which means “Discipline”) and spectators at their games or practice sessions often comment on the players’ remarkable personal citizenship qualities as well as their athleticism. Typical of dedicated group leaders is Adam Charlesworth who coaches the Belmont Boys and Girls Under 12 years teams. Adam is a medical technology executive who hails from Toronto and was captain of the SMU rugby team before starring in the Dallas Harlequins rugby program then moving on to Southern California and joining the prestigious, nationally recognized Belmont Shore squad.